The Russian revolutionary and later Soviet premier Lenin (Vladimir Ilyich Ulyanov) c. 1920. 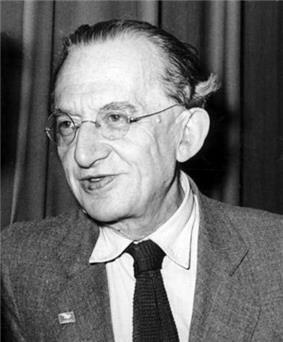 Leninism codified: the intellectual György Lukács, the philosopher of Leninism, c. 1952. In vanguard party, and the achievement of a dictatorship of the proletariat, as political prelude to the establishment of socialism. Developed by, and named for, the Russian revolutionary and later Soviet premier Vladimir Lenin, Leninism comprises political and socialist economic theories, developed from Marxism, as well as Lenin’s interpretations of Marxist theory for practical application to the socio-political conditions of the agrarian early-20th-century Russian Empire. In February 1917, for five years, Leninism was the Russian application of Marxist economics and political philosophy, effected and realised by the Bolshevik party, the vanguard party who led the fight for the political independence of the working class. Functionally, the Leninist vanguard party provided to the working class the October Revolution of 1917, Leninism was the dominant version of Marxism in Russia, and then the official state ideology of Soviet democracy (by workers’ council) in the Russian Socialist Federative Soviet Republic (RSFSR), before its unitary amalgamation into the Union of Soviet Socialist Republics (USSR) in 1922. In 1925–29 post-Lenin Russia, Joseph Stalin integrated Leninism to Marxist economics, and developed Marxism–Leninism, which then became the state ideology of the Soviet Union. In the 19th century, revolution would first occur in the economically advanced, industrialized countries. Yet, in the early 20th century, the socio-economic backwardness of Imperial Russia (uneven and combined economic development) facilitated rapid and intensive industrialization, which produced a united, working-class proletariat in a predominantly rural, agrarian peasant society. Moreover, because the industrialization was financed mostly with foreign capital, Imperial Russia (1721–1917) did not possess a revolutionary bourgeoisie with political and economic influence upon the workers and the peasants (as occurred in the French Revolution, 1789). So, although Russia's political economy principally was agrarian and semi-feudal, the task of democratic revolution therefore fell to the urban, industrial working class, as the only social class capable of effecting land reform and democratization, in view that the Russian propertied classes would attempt to suppress any revolution, in town and country. In April 1917, Lenin published the April Theses, the strategy of the October Revolution, which proposed that the Russian revolution was not an isolated national event, but a fundamentally international event — the first world socialist revolution. Thus, Lenin's practical application of Marxism and working-class urban revolution to the social, political, and economic conditions of the agrarian peasant society that was Tsarist Russia sparked the “revolutionary nationalism of the poor” to depose the absolute monarchy of the three-hundred-year Romanov dynasty (1613–1917). Hence, the purpose of the Leninist vanguard party is to establish a democratic dictatorship of the proletariat; supported by the working class, the vanguard party would lead the revolution to depose the incumbent Tsarist government, and then transfer power of government to the working class, which change of ruling class — from bourgeoisie to proletariat — makes possible the full development of socialism. In the pamphlet What is to be Done? (1902), Lenin proposed that a revolutionary vanguard party, mostly recruited from the working class, should lead the political campaign, because it was the only way that the proletariat could successfully achieve a revolution; unlike the economist campaign of trade-union-struggle advocated by other socialist political parties; and later by the anarcho-syndicalists. Like Karl Marx, Lenin distinguished between the aspects of a revolution, the "economic campaign" (labour strikes for increased wages and work concessions), which featured diffused plural leadership; and the "political campaign" (socialist changes to society), which required the decisive revolutionary leadership of the Bolshevik vanguard party. Full, inner-party democratic debate was Bolshevik Party practice under Lenin, even after the banning of party factions in 1921. Although a guiding influence in policy, Lenin did not exercise absolute power, and continually debated and discussed to have his point of view accepted. Under Stalin, the inner-party practice of democratic free debate did not continue after the death of Lenin in 1924. 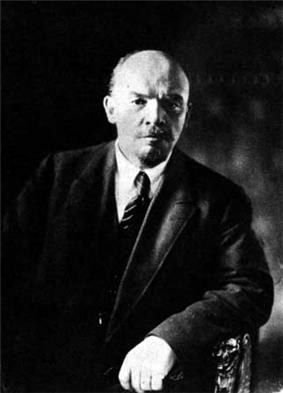 Before the Revolution, despite supporting political reform (including Bolsheviks elected to the Duma, when opportune), Lenin proposed that capitalism could ultimately only be overthrown with revolution, not with gradual reforms — from within (Fabianism) and from without (social democracy) — which would fail, because the ruling capitalist social class, who hold economic power (the means of production), determine the nature of political power in a bourgeois society. As epitomised in the slogan, “For a Democratic Dictatorship of the Proletariat and Peasantry”, a revolution in underdeveloped Tsarist Russia required an allied proletariat of town and country (urban workers and peasants), because the urban workers would be too few to successfully assume power in the cities on their own. Moreover, owing to the middle-class aspirations of much of the peasantry, Leon Trotsky proposed that the proletariat should lead the revolution, as the only way for it to be truly socialist and democratic; although Lenin initially disagreed with Trotsky’s formulation, he adopted it before the Russian Revolution in October 1917. In the Russian socialist society, government by Northern Expedition portion of the Chinese Revolution (1925–1927), wherein it resulted in the right-wing Kuomintang’s massacre of the Chinese Communist Party; nonetheless, despite the failure, Stalin’s policy of mixed-ideology political alliances, became Comintern policy. 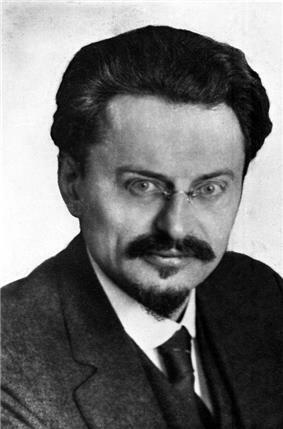 Until exiled from Russia in 1929, Leon Trotsky helped develop and led the Left Opposition (and the later Joint Opposition) with members of the Workers’ Opposition, the Decembrists, and (later) the Zinovievists. Trotskyism ideologically predominated the political platform of the Left Opposition, which demanded the restoration of soviet democracy, the expansion of democratic centralism in the Communist Party, national industrialisation, international permanent revolution, and socialist internationalism. The Trotskyist demands countered Stalin’s political dominance of the Russian Communist Party, which was officially characterised by the ‘cult of Lenin’, the rejection of permanent revolution, and the doctrine of Socialism in One Country. The Stalinist economic policy vacillated between appeasing capitalist kulak interests in the countryside, and destroying them. Initially, the Stalinists also rejected the national industrialisation of Russia, but then pursued it in full, sometimes brutally. In both cases, the Left Opposition denounced the regressive nature of the policy towards the kulak social class of wealthy peasants, and the brutality of forced industrialisation. Trotsky described the vacillating Stalinist policy as a symptom of the undemocratic nature of a ruling bureaucracy. During the 1920s and the 1930s, Stalin fought and defeated the political influence of Leon Trotsky and of the Trotskyists in Russia, by means of slander, anti-Semitism, programmed censorship, expulsions, exile (internal and external), and imprisonment. The anti–Trotsky campaign culminated in the executions (official and unofficial) of the Moscow Trials (1936–38), which were part of the Great Purge of Old Bolsheviks (who had led the Revolution). Once established as ruler of the USSR, General Secretary Stalin re-titled the official Socialism in One Country doctrine as “Marxism-Leninism”, to establish ideologic continuity with Leninism, whilst opponents continued calling it “Stalinism”. In China, the Mao Zedong Thought, the Chinese practical application of Marxism-Leninism, specific to Chinese socio-economic conditions. In turn, Maoism became the theoretical basis of some third world revolutionary vanguard parties, such as the Communist Party of Peru – Red Fatherland and others. In several works, including an essay written from jail and published posthumously by her last companion, Paul Levi (publication of which precipitated his expulsion from the Third International) titled "The Russian Revolution", the Marxist Rosa Luxemburg sharply criticized some Bolshevik policies, such as their suppression of the Constituent Assembly in January 1918, their support for the partition of the old feudal estates to the peasant communes, and their policy of supporting the purported right of all national peoples to "self-determination." According to Luxemburg, the Bolsheviks' strategic mistakes created tremendous dangers for the Revolution, such as its bureaucratisation. Left communism is the range of communist viewpoints held by the communist left, which criticizes the political ideas of the Bolsheviks at certain periods, from a position that is asserted to be more authentically Marxist and proletarian than the views of Leninism held by the Communist International after its first and during its second congress. Proponents of left communism have included Amadeo Bordiga, Herman Gorter, Anton Pannekoek, Otto Rühle, Sylvia Pankhurst and Paul Mattick. "Left-Wing" Communism: An Infantile Disorder is a work by Vladimir Lenin attacking assorted critics of the Bolsheviks who claimed positions to their left. Critics of Lenin, such as Aleksandr Solzhenitsyn and Noam Chomsky, have argued that Stalinism (i.e., a political system which includes forced collectivization, a police state, a totalitarian political ideology, forced labor camps and mass executions) was not a deviation from Lenin's policies, but merely a logical extension of them. ^ Hill, Christopher Lenin and the Russian Revolution (1971) Penguin Books:London p. 35. ^ Lenin, V. I. ‘United States of Europe Slogan’, Collected Works, Vol. 18, p. 232. ^ Hill, Christopher Lenin and the Russian Revolution (1971) Penguin Books:London p. 86. ^ Rogovin, Vadim Z. Stalin’s Terror of 1937-1938: Political Genocide in the USSR. (2009) translated to English by Frederick S. Choate, from the Russian-language Party of the Executed by Vadim Z. Rogovin. ^ "The Nationalities Question in the Russian Revolution (Rosa Luxemburg, 1918)". ^ "The 'Advance Without Authority': Post-modernism, Libertarian Socialism and Intellectuals" by Chamsy Ojeili, Democracy & Nature vol.7, no.3, 2001. ^ Steven Merritt Miner (May 11, 2003). "The Other Killing Machine". The New York Times. After Lenin’s death (21 January 1924), Trotsky ideologically battled the influence of Stalin, who formed ruling blocs within the Russian Communist Party (with Left Opposition, and the later Joint Opposition. In post–Revolutionary Russia, Stalinism (Socialism in one country) and Trotskyism (Permanent world revolution) were the principal philosophies of Communism that claimed legitimate ideological descent from Leninism' thus, within the Communist Party, each ideological faction denied the political legitimacy of the opposing faction. Soviet democracy nationalised industry and established a foreign-trade monopoly to allow the productive co-ordination of the national economy, and so prevent Russian national industries from competing against each other. To feed the populaces of town and country, Lenin instituted War Communism (1918–21) as a necessary condition — adequate supplies of food and weapons — for fighting the Russian Civil War (1917–23). Later, in March 1921, he established the New Economic Policy (NEP, 1921–29), which allowed measures of private commerce, internal free trade, and replaced grain requisitions with an agricultural tax, under the management of State banks. The purpose of the NEP was to resolve food-shortage riots among the peasantry, and allowed measures of private enterprise, wherein the profit motive encouraged the peasants to harvest the crops required to feed the people of town and country; and to economically re-establish the urban working class, who had lost many men (workers) to the counter-revolutionary Civil War. With the NEP, the socialist nationalisation of the economy could then be developed to industrialise Russia, strengthen the working class, and raise standards of living; thus the NEP would advance socialism against capitalism. Lenin regarded the appearance of new socialist states in the developed countries as necessary to the strengthening Russia's economy, and the eventual development of socialism. In that, he was encouraged by the German Revolution of 1918–1919, the Italian insurrection and general strikes of 1920, and industrial unrest in Britain, France, and the U.S.
Soviet constitutionalism was the collective government form of the Russian dictatorship of the proletariat, the opposite of the government form of the dictatorship of capital (privately owned means of production) practised in bourgeois democracies. In the soviet political system, the (Leninist) vanguard party would be one of many political parties competing for elected power. Nevertheless, the circumstances of the Red vs. White Russian Civil War, and terrorism by the opposing political parties, and in aid of the White Armies' counter-revolution, led to the Bolshevik government banning other parties; thus, the vanguard party became the sole, legal political party in Russia. Lenin did not regard such political suppression as philosophically inherent to the dictatorship of the proletariat; yet the Stalinists retrospectively claimed that such factional suppression was original to Leninism.